Step 1 Grease a 9- by 12-inch baking pan, line the bottom with a piece of parchment paper, and grease the parchment. Heat the oven to 350 degrees. Step 2 Combine the sugar, oil and molasses in a large mixing bowl. Dissolve the baking soda in the boiling water and stir it into the sugar mixture. Sift together the flour, salt and spices and stir the dry mixture into the wet one. Gently beat in the eggs and the fresh ginger, using a whisk or a slow setting on an electric mixer, just until everything is combined and there are no lumps of flour left. Step 3Pour the batter into the prepared baking pan. Bake for about 40 to 45 minutes, or until a toothpick inserted near the center comes out clean. Step 4Allow the gingerbread to cool before cutting. In Recipes-list.com we have selected the most viewed recipes from category - Desserts . Enjoy the best recipes specially selected for you! 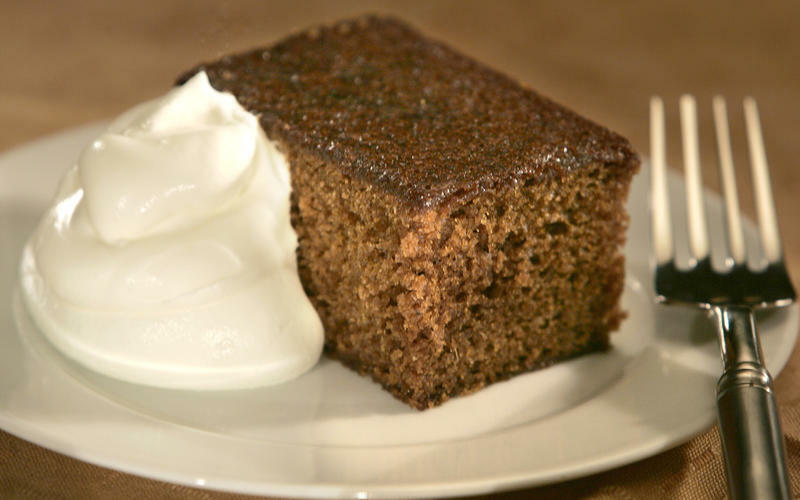 Octavia's gingerbread is the right choice that will satisfy all your claims.